Below you will find Top CBSE Schools in Ranchi 2019, List of Best CBSE Board Schools in Ranchi. Sapphire International School is committed to providing a safe and secure environment where students enjoy learning and recognize their worth, dignity and leadership capacity. 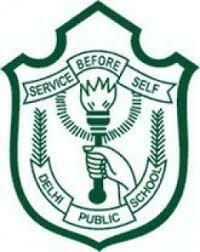 Delhi Public School, Ranchi was established in the year 1989. St Thomas School, Ranchi is a co-educational English medium day school affiliated with the Council for the Indian School Certificate Examinations (CISCE), New Delhi offering schooling from Kindergarten through class X.
Kendriya Vidyalaya No-1, HEC, under Ranchi region was established in the year 1974 and is the second oldest Kendriya Vidyalaya at Ranchi. 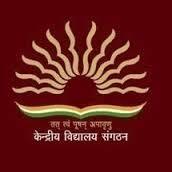 Started in the year 1966, Kendriya Vidyalaya, Hinoo Shift 1 Ranchi, is a co-ed school affiliated with CBSE Board, New Delhi. Kendriya Vidyalaya, Dipatoli, Ranchi, one of the constituent unit of Kendriya Vidyalaya Sangathan was established in the year 1979 and is administratively under Kendriya Vidyalaya Sangathan Ranchi Region. Kendriya Vidyalaya Namkum, promoted in the year 1986 is a Defence Sector Kendriya Vidyalaya situated within Namkum Cantt. Started on 24th July, 1990, D.
DAV public school Gandhinagar in its present form is a joint venture of the DAV College Managing Committee and the Coal India Limited (CIL). Address : Kanke Road, Ranchi - 834 008, Jharkhand - India. Started in the year 1987, DAV Public School, Hehal, a leading school of Ranchi Zone functions under the guidance and supervision of DAV College Managing Committee, New Delhi. Jawahar Vidya Mandir, previously known as DAV Jawahar Vidya Mandir is a co-educational English medium day school. Mahangu Bhagat DAV Public School, Lohardaga started in 1986 with the aim of providing quality education to the wards of tribals and economically weaker sections of this densely tribal belt of Jharkhand. Founded in the year 1985, DAV Centenary Public School, Bhawanathpur Township is a co-educational school and features education from the Prep to Senior Secondary levels. Address : Bhawanathpur Township, Ranchi.